Mentor sentences are the perfect way to teach grammar and author's craft through examples of excellent sentences from your favorite read-aloud books! 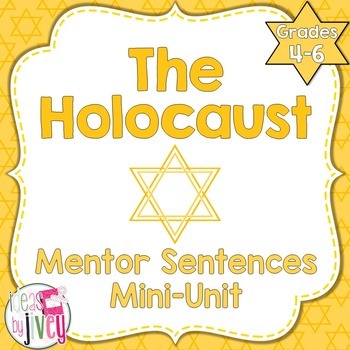 This unit will be a great way to integrate Social Studies in with your mentor sentences during your study of the Holocaust and/or World War II! It does not include explicit directions of how to implement mentor sentences in your room- these directions are in the Volume 1, FIRST Ten Weeks: Mentor Sentence Unit, Volume 2, FIRST Ten Weeks: Mentor Sentence Unit, or Volume 3, FIRST Ten Weeks: Mentor Sentence Unit products for sale. 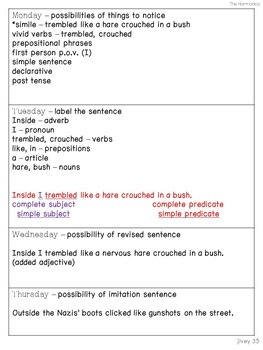 Not familiar with mentor sentences? Read all about them here! I walk you through each day's lesson for 5 weeks- all the work is done! 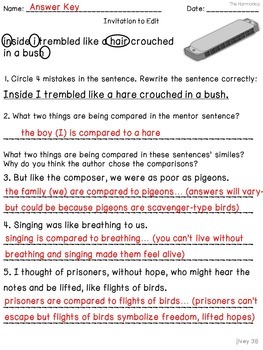 I've even done all the thinking for you when it comes to revising and imitating! :) Each lesson includes the teacher sentence page, the student sentence page, a lesson plan page with possibilities for all 4 days, an interactive activity with the focus skill, and a quiz aligned with CCSS with answer key. I chose books that would be in most personal libraries or school media centers. All of these are personal favorites of mine! Get a free bystander vs. upstander lesson for the book, Terrible Things, HERE! 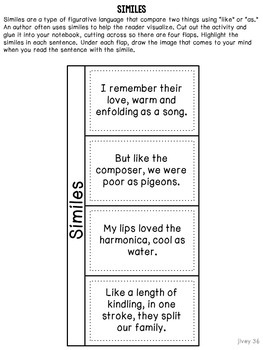 Check out these other separate mentor sentence units to integrate other content! WHAT ABOUT OTHER GRADE LEVELS? There are three volumes for grades 3-5 to help prevent repetition of mentor sentence lessons among grades in the same school. Check out what’s in Volume 1! Check out what’s in Volume 2! Check out what’s in Volume 3! Please remember, this purchase is for the use of one teacher. It is not intended to be shared. Please use the 'additional license' purchase if more than one teacher will be using it. Thank you! All rights reserved by author, Jessica Ivey. Leave feedback to earn credits for future purchases! Become a follower to receive updates about future mentor sentence units as well!